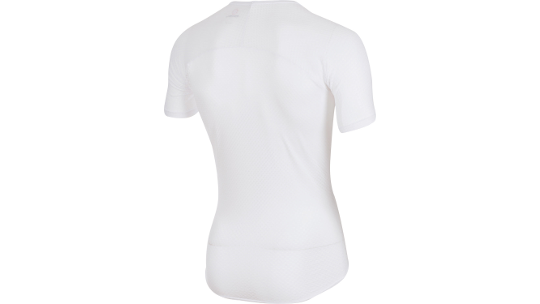 This base layer has been requested from all the Pro's that ride with Castelli clothing. Specially designed for those inbetween conditions where the Flanders is too warm and the core mesh is too cool, like Spain in February or Belgium in April. You're not looking for warmth from this base layer, just something to move the moisture away from your body and help your race jersey perform to its highest ability. Castelli's 3D mesh fabric creates dead air space next to your skin, while the polyester capillary action moves sweat away.